If you run a website that is considered to be seasonal, such as a website all about the best summer vacation spots then you are going to have limited access to relevant advertisers year round. These advertisers are not willing to pay top dollar during the slow season. Thus, you need to think about offering up deep discounts when it is no longer in the peak traffic season. In our example, people do book summer vacations year-round and so they may still be willing to act on ads that appeal to them and it is a win-win situation for advertisers if they can capture those off-season sales while enjoying a saving on their advertising campaign. If you have advertisers that are on the fence about renewing their ads with you, it may be a good idea to offer up a renewal discount. This does not need to be a massive price slashing event, as a discount in the range of 10-15% is very often enough to push an advertiser to your side of the fence, especially if your advertising rates are already reasonable. While some advertisers are happy with a small space on your site, a limited run or a single ad, other advertisers may want to blanket your site or have an extended run of multiple ads. 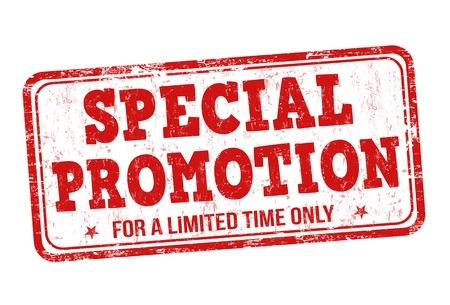 If you come across an advertiser looking to go the latter route, you may be able to entice them into a larger spend by offering an order-total discount, or a bundle. For example, 10% off the total price if a certain minimum commitment is met. If their total advertising outlay on your site would normally cost $1000 for several ads, that $100 savings is a very nice incentive. Some publishers have administrative, setup, or add-on fees to the total cost to advertisers, a practice that can often discourage or scare some folks away. Making these services free, or delivering them at a reduced cost, makes you look easy to work with, which might just sway an advertiser sitting on the fence. It pays to reward existing advertisers who have already placed ads on your site by giving them future ad credits to play with. This works particularly well with seasonal advertisers, as they will almost certainly come back to you if they have a $100 credit at your site burning a hole in their pockets. The advertisers are helping you maintain and grow your business, so be sure to give them a little love in return.